Ireland women's international Jenny Murphy believes the below-par performance of some of Ireland's frontline players in the Six Nations defeat to England was simply a one-off. 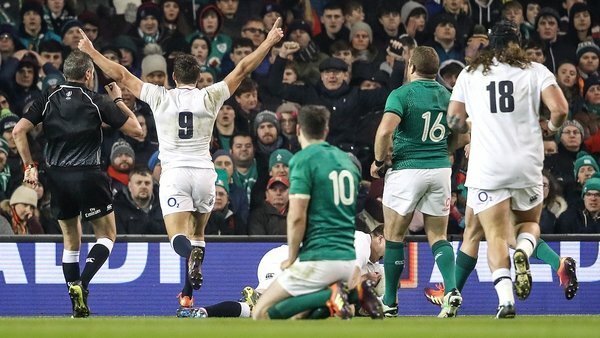 Eddie Jones’ side blew the tournament wide open on the opening weekend of the competition with a fully deserved 32-20 victory at the Aviva Stadium as aspirations for back-to-back Grand Slams fell at the first hurdle. The men in green must dust themselves down ahead of a trip to Edinburgh on Saturday and Murphy insists there shouldn’t be an overreaction to Ireland’s first home defeat in the tournament for six years. "A lot of people are saying, ‘that’s the Six Nations gone, that’s the World Cup gone’, but it’s one game," she said on RTÉ Radio 1's Morning Ireland. "England played their best game I have seen them play in two years, and that’s what needs to be done to beat this Irish team. "The Championship is still there. I don’t think there needs to be any major changes and there is still a trophy there to be won." So where did it go wrong for Ireland? Injuries weren’t the reason in isolation, but the 29-year-old centre says it was a contributing factor. 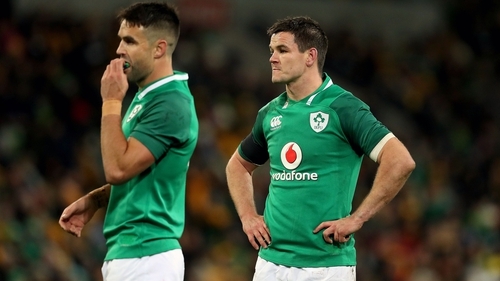 Rob Kearney was not deemed fully match-fit after recovering from a recent lay-off, Johnny Sexton’s last game before Saturday was the interprovincial defeat to Munster in December, while Conor Murray is only finding his form after missing a good chuck of the first half of the season. "That was Sexton’s first game in five weeks," Murphy said by way of explanation of Ireland’s individual performances. "To jump into that type of game would be difficult for anyone, even a player of his capacity. It wasn’t his strongest game, Murray’s either. I thought Peter O’Mahony struggled a little bit as well, I’m not sure if he is still carrying a bit of a knock from the Gloucester [Heineken Champions Cup] game with his ribs. "That’s a one-off. We don’t normally see under-cooked performances from those players." Murphy, who has represented her country at the last two World Cups identified England’s "extremely talented players" and said Eddie Jones and his management team were clever in the way they nullified Irish threats. "They were smart and had a better gameplan. We like to use a lot of decoy runners and those sweet passes out the back. They had identified that and basically bolted by those dummy runners and made big dominant hits. "They were very, very up for the game." All roads no lead to Scotland against a home team looking to make it two wins from two. Murphy expects a much better showing from Ireland and suggests that in the long term, the defeat might not be such a bad thing for a team with ambitions of making a statement in Japan at the World Cup. "With that kind of loss, speaking from a player’s point of view, you want to get right back into it, and redeem I guess. I’m quietly confident and I don’t necessarily think a loss, while obviously building. "There was a lot of pressure building. We hadn’t even kicked off in the Six Nations and people were talking about the World Cup. I think it brought us down to reality and maybe it’s no harm in not going in undefeated."